Join the launch party!! 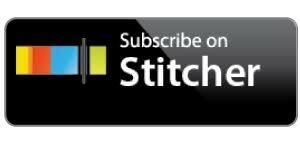 Go to iTunes, subscribe + rate + review this podcast and you'll be entered to win amazing prizes. Once you've subscribed + rated + reviewed, send me a quick email to know you've done it. I can't wait to send some goodies your way! Stella Orange talks about writing as a powerful tool to discover our voice, our inner landscapes, and unleash the hero that lives within each of us. We also talked about the transformative power of viewing our own lives through the lens of the hero’s journey. Stella also has wonderful suggestions for creating a writing practice that is as essential to our wellbeing as any other form of self-care. Download My 3 Tools For Thriving! These tools help you create the OPTIMAL physical, mental and emotional environment in which your body heals and you create a joyful life with ease. #1 The “A List” of foods that are universally healing and anti-inflammatory. #2 A Power Affirmations card that expands your mind’s subconscious power. #3 A beautiful Theta brain-waves meditation that guides you into self-love, which is fundamental for thriving.